Caihong ("rainbow") is a large-scale solar-powered unmanned aerial vehicle (UAV). It was designed and created by the China Academy of Aerospace Aerodynamics (CAAA). The UAV will seek to reach near-space, an altitude above where commercial airliners fly, but below orbiting satellites. Such a vehicle is commonly referred to as an “atmospheric satellite” in that it can function as a low-orbit satellite to a certain extent. 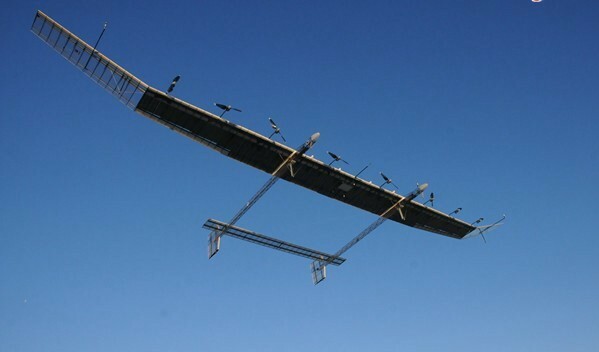 A solar UAV can perform sustained surveillance and information-relay over a region. The Chinese vehicle has a wingspan of more than 40 meters. 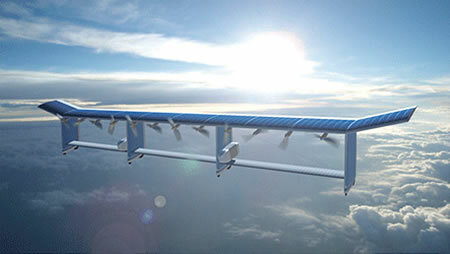 It has eight propellers installed on the front of the wings fully covered by solar panels. Its designer, CAAA’s chief UAV engineer Shi Wen, calls it the world’s largest solar-powered drone, even dwarfing the US NASA Pathfinder series that never made it into mass production. As radically futuristic as the Caihong solar-powered drone is, science fiction fans know that in his 1930 novel The Black Star Passes, sf great John W. Campbell writes about an aircraft powered by electricity (in this case, from solar power). "Dad, I believe that you have been trying to develop a successful solar engine. One that could be placed in the wings of a plane to generate power from the light falling on that surface..."